When the time to purchase new forklifts comes, the focus is always on costs. This makes sense — no-one in business would want to spend money unneccessarily, and if a machine can do the job, then the lower the cost, the better. Costs will always be an important factor. But which ones? 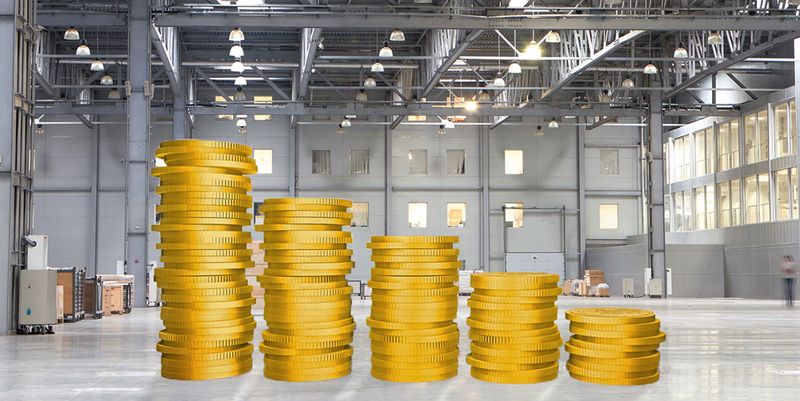 When thinking about the money you're going to spend on your forklift over its lifetime, you'll only make the best decision if you consider your hard and soft costs. You'll probably be familiar with this term. These are fixed costs that are either very hard to reduce, or can only be reduced very slightly. In our industry, costs like salaries for forklift drivers, overheads associated with the payroll process, and electricity to charge your trucks' batteries are hard costs. While they are predictable, they're unfortunately quite difficult to change, and it will be challenging to make big savings by focusing on them. From a forklift procurement manager or operations manager's perspective, these costs are much more interesting. If reducing costs is a priority, then beginning with these ones is a good step. Soft costs are can tough to predict, and in the warehouse could be things like the costs of driver absences, repairs to trucks and warehouse infrastructure, and general dips in productivity that can be caused by driver strain or poor training. It's not always easy to reduce these costs, but it's much easier than reducing hard costs, so focusing on these is a good decision. Conveniently, a lot of soft costs are related to the driver — who makes up around 70% of a truck's total cost of ownership over its lifetime. So by focusing on improving the competence and safety of the driver, you can start bringing down this huge proportion of the cost. How do you do this? There's a number of ways - ergonomic features that keep drivers safe and strain-free reduce the number of sick days and boost their productivity. 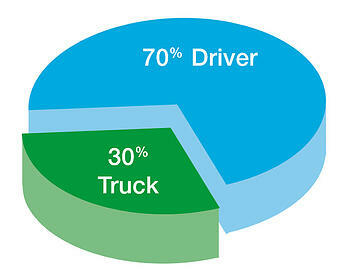 Training increases competency, saving you money on repairing damages and making drivers more productive at the wheel. And trucks designed to give good visibility help minimise strain and the risk of accidents. If you want to take steps towards achieving these kinds of savings, click the button below to get our guide How to reduce the biggest cost of owning a forklift truck. It'll show that if you're interested in reducing costs, it's your driver-related costs that you should focus on. Happy reading!